So, as many of you know, I just finished up my PhD. The final requirement is a research project and paper, which I studied an online format of the Child-Parent Relationship Therapy (CPRT) parent training. The results were amazing! Interestingly, one of the measures of success for CPRT is levels of parental acceptance measured before and after the training. In other words, prior to the training parents are given an assessment to determine how much they accept their children. After the ten-week training, parents take the same assessment again and the scores are compared. When I was writing up the results (which prove that an online version is just as effective for increasing parental acceptance as face-to-face! ), I spent time looking into how parental acceptance was defined and measured. So, I realized what I need to do to express parental acceptance to my son, according to this assessment. Respect for the child’s feelings and their right to express them. Appreciation for the child’s uniqueness. Recognition of the child’s need for independence and autonomy. 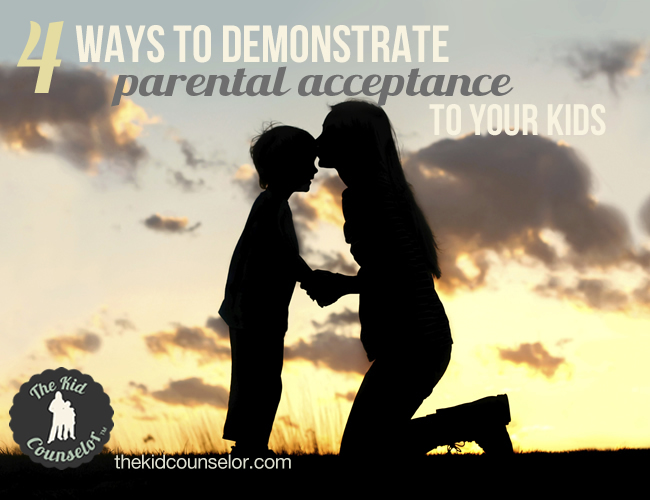 This was especially interesting to think about the things that I do already that communicate acceptance, and how play therapy principles align with truly accepting your child. The beauty of raising my son from a play therapy parenting approach is that he hears messages of acceptance in everyday interactions without me trying. Respect for the child’s feelings is expressed in reflective responding. Appreciation for the child’s uniqueness is expressed in encouragement. Recognition of the need for independence is expressed in allowing the child to struggle. Unconditional love is expressed in limit setting and choice giving. I am so encouraged that play therapy gives me simple and effective ways to communicate that I accept my son NO MATTER WHAT. If he is not as skilled in an area as other kids, we celebrate his strengths. If he expresses his anger in hurtful words, the feelings are acceptable and acknowledged, we just discuss another way to communicate his frustration. If he doesn’t want my help on something, or if he does but I know that he can do it, I let him work through the problem on his own. All of these techniques are rooted in my play therapy training. And I love that I can be assured that he hears messages of acceptance every day, without having to make an intentional effort to. I hope that you begin using some of these phrases with your children and that they understand just how much you love and accept them on a daily basis, too!